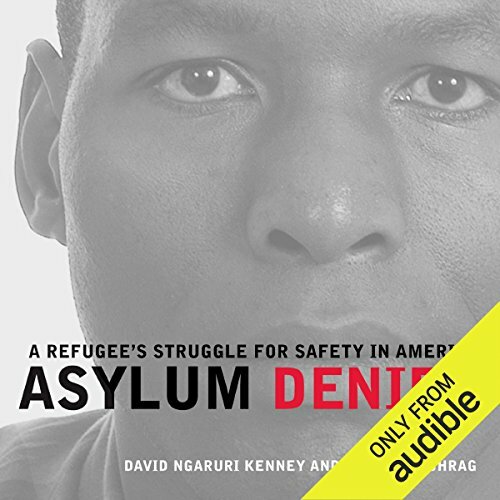 Showing results by narrator "Philip Schrag"
Asylum Denied is the gripping story of political refugee David Ngaruri Kenney's harrowing odyssey through the world of immigration processing in the United States. Kenney, while living in his native Kenya, led a boycott to protest his government's treatment of his fellow farmers. He was subsequently arrested and taken into the forest to be executed. This audiobook, told by Kenney and his lawyer Philip G. Schrag from Kenney's own perspective, tells of his near-murder, imprisonment, and torture in Kenya.